We are delighted to have won the Eaton Smith Business of the Month Award for March 2018 in conjunction with the Mid Yorkshire Chamber of Commerce and The UK Department of International Trade. The members of the judging panel were impressed by our innovation, our financial success in a very short time, our forecast for future growth and development and our contribution to both optical and musician’s services. We are so pleased to have won this award, particularly for scaling up the new practice and developing a strong niche to support musicians and conductors (UK and overseas) with their specific eyecare needs. We have also been sharing our bespoke solutions with other interested customer groups who require a tailored product that works eg. Teachers, sports people, dancers, hobbyists. Sheryl has been doing all this during a year fraught with serious illness, as business and life partner Stephen Tighe faced a life-threatening condition and was hospitalised suddenly for 3 months and spent a further 20 days in a rehabilitation unit. Sheryl was visited Steve in hospital daily, keeping our team updated, but continuing to keep customers very happy and our practice open six days per week for 7 months. Besides this, she was supporting their children and grandchildren throughout Steves illness. To say the team at Allegro Optical are incredibly proud is an understatement. We feel this award recognises the whole team's achievement in driving Allegro Optical forward. Winning this award is so special to the team and in spite of a very difficult and unpredictable year, Allegro Optical continues to grow. At Allegro Optical we work with local partnerships (eg. Meltham Golf Club and sponsoring Huddersfield Philharmonic Orchestra) and networks such as Meltham Business Association (which she co-founded in 2017) and Business Network International. Allegro Optical now has a very high profile in the community and as members of the Holme Valley Fairtrade Association and Holme Valley Lions, we hope this continues for a long time to come. 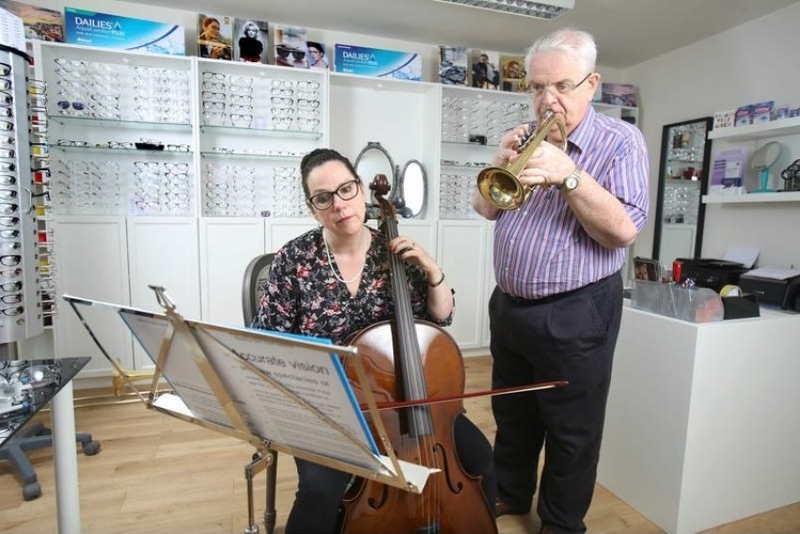 It is thanks to Sheryl’s foresight, hard work and belief, we set up Allegro Optical and we are now proud to be known for our independence, our outstanding customer service and as “The Musician’s Optician”. We dedicate this award to her. Can you see your part?